Dear ECHR readers, please find below a final batch of ECHR-related academic readings for the end of the year. 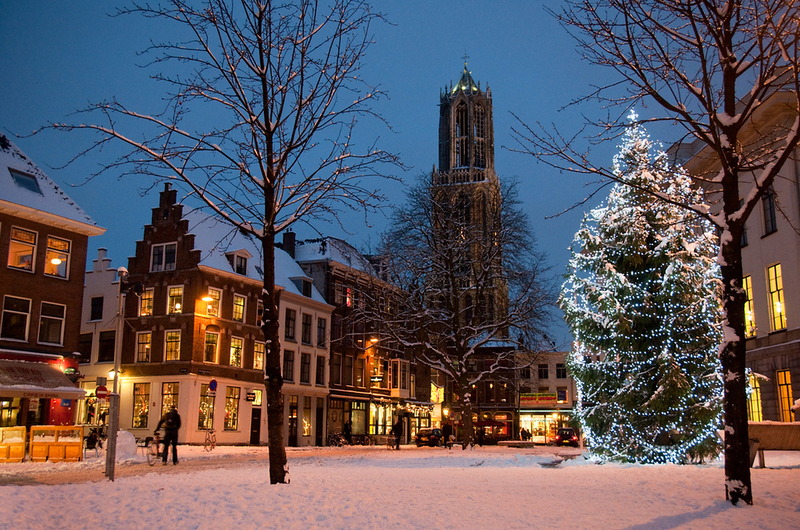 I wish all of you a very good Christmas and good 2019! - Delays in the Implementation of ECtHR Judgments (p. 445). * Lize Glas, 'Unilateral declarations and the European ECtHR of Human Rights: between efficiency and the interests of the applicant', Maastricht Journal of European and Comparative Law (2018). *Andrea Broderick, 'The United Nations Convention on the Rights of Persons with Disabilities and the European Convention on Human Rights: a tale of two halves or a potentially unified vision of human rights?'. *Agustín Ruiz Robledo, The construction of the right to free elections by the European Court of Human Rights'. A key judgment on Article 18 ECHR was delivered earlier this month by the Court's Grand Chamber, Navalnyy v Russia. I am happy to announce a guest commentary on this judgment by Floris Tan, PhD researcher at Leiden University. He is one of they experts on Article 18 currently! Earlier this month, the Grand Chamber of the European Court of Human Rights (the Court) handed down its long-awaited judgment in the case of Navalnyy v Russia. For readers no longer keeping track of the numerous applications and cases concerning prominent opposition politician and activist Aleksei Navalnyy (see here, here and here), the case in question relates to seven instances of arrest and conviction for his involvement in what the Russian authorities classified as ‘public gatherings requiring notification’, and for allegedly disobeying orders issued by the police. In essence, the case pertains to the very open-ended Russian law requiring notification of gatherings at least 10 days prior, the well-documented corresponding risk of abuse and arbitrariness, and its strict enforcement even against peaceful assemblies merely because they failed to fulfil the requirement of notification. "the restrictions imposed on the applicant (...) pursued an ulterior purpose within the meaning of Article 18 of the Convention, namely to suppress that political pluralism which forms part of “effective political democracy” governed by “the rule of law”." Needless to say, this judgment will make waves. It signifies an important development in the Court’s approach to cases of politically motivated human rights restrictions, and moreover comes at a time when concerns regarding the rule of law in Europe are rising. In fact, it is now more and more common to refer to the Convention’s and Court’s raison d’être as constituting a conscience of Europe, capable of sounding the alarm when totalitarianism rears its head. Article 18 takes on special prominence in this context, as it forbids States to restrict Convention rights for any other purpose than prescribed, which must be understood as militating against hidden, ulterior purposes of States when they interfere with individuals’ rights. In light of this, this commentary focuses in particular on Article 18 as it is applied in the case of Navalnyy, and it places the case within the broader developments in the Court’s jurisprudence under this provision. Article 18 of the European Convention has been brought to life recently, with the very first violation found only in 2004, and with up until last year a total of merely six violations that had become final. Within the Court there has been clear ongoing discussion and dissent on how to interpret Article 18, expressed in numerous separate opinions, and all this culminated in the Grand Chamber judgment of November 2017, in Merabishvili v Georgia. In this case, the Court significantly increased the provision’s striking range, by stressing its autonomous meaning, by normalising the standard and burden of proof, and by clarifying what test must be applied in cases where applicants allege that State authorities pursued ulterior purposes – thus initiating a new dawn for Article 18 (see my forthcoming article in the Goettingen Journal of International Law). Controversially however, it did so with a 9 v 8 majority, and it was therefore by no means clear a differently composed Grand Chamber might not come to different conclusions. Since then, five violations of Article 18 have been found, two of which in high profile cases, and still there is more to come: the Grand Chamber has been asked for the very first time by the Committee of Ministers to rule on a High Contracting Party’s compliance with a judgment in the case of Ilgar Mammadov, where the Court had also found a violation of Article 18 because the applicant had been remanded in detention to silence and punish him rather than for legitimate reasons, and because Azerbaijan has since refused to release him (see also here). Bearing this turbulent history in mind, having another Grand Chamber case concerning Article 18 of the Convention within a year of the landmark judgment in Merabishvili – which was the first time the Grand Chamber considered a complaint under this provision on its merits – is hugely interesting in itself, and an opportunity to evaluate the framework set in that case. The political importance of the Navalnyy case only adds to this, and whilst admittedly any case finding a violation of Article 18 and thus implying a State has acted in bad faith is politically sensitive, the Grand Chamber’s finding that Russia’s arrests and interferences with assemblies of perhaps its most prominent and outspoken opposition leader were indeed supported by ulterior, political purposes, makes it stand out even more. As mentioned, up until recently Article 18 led a largely dormant existence, and an important first point to note is therefore that the Article 18 complaint is considered at all. Previous allegations by Navalnyy, as well as by others in similar cases (e.g. here, here, here and here) have consistently been dismissed by the Court as ‘not necessary to examine’ in light of violations already found under substantive Convention provisions. The 2017 Chamber judgment in our case proceeded along the same lines, but following the applicant’s request for a referral, the Grand Chamber now rules explicitly and at length on the Article 18 issue. That in itself is a significant development, especially in this highly politicised context. Moreover, although Article 18 refers to abusive restrictions of rights and may therefore be applied in conjunction with any right allowing restrictions, up until very recently, when the Court did find a violation of Article 18, it was always in conjunction with Article 5 – and thus limited to instances of abusive detention. 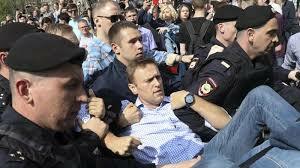 Navalnyy however, beyond allegations of abusive arrests, also argued that his right to freedom of assembly under Article 11 had been limited for political reasons, rather than for the actual protection of public order. For the first time, the Court entertains such a complaint on its merits, and indeed finds a violation of Article 18 in conjunction with Article 11. This goes to show that the Court’s consideration in Merabishvili, that any complaint alleging ulterior purposes must be ruled on when it constitutes a fundamental aspect of the case, has indeed entailed a shift and widened the application of the provision, allowing the Court to engage more readily with abusive restrictions of rights. This signifies a step forwards in effectuating the provision as a safeguard against totalitarianism, as also flows from the Court’s finding of a violation just days after Navalnyy in Selahattin Demirtaş v. Turkey (no. 2), where the Court also ruled the detention of a Turkish opposition leader to be politically motivated. So, how should it be determined whether a State in fact had ulterior purposes when it restricted Convention rights, as the Court did in Navalnyy? In Merabishvili, the Grand Chamber set out an innovative approach to what must be proven for Article 18 to be violated, which is not merely the existence of an ulterior purpose, but also that this was either (1) the sole purpose driving the authorities, or (2) even if the authorities did also pursue legitimate aims, that the ulterior purpose was predominant. This approach was critiqued by four concurring judges and academics alike (here and here), because the mere existence of an ulterior purpose alone is not necessarily sufficient for finding a violation, which is perceived as a ‘normalisation’ of ulterior purposes. These judges and academics in other words support a ‘contamination approach’: once an illicit purpose is established, this taints the decision as a whole and renders it unlawful and in breach of Article 18 – similar to the approach the Court sometimes takes in discrimination cases. This critique holds some sway, and because Merabishvili was a contested judgment with a total of 12 separate opinions (8 dissenting, 4 concurring), it was by no means decided the Grand Chamber in Navalnyy would continue on this path – especially in a case where the stakes were as high as they were here. Further, in Merabishvili the Court moved away from its controversial practice in Article 18 cases of placing the burden of proof solely on the applicant, of imposing a higher standard of proof, and of requiring direct and incontrovertible evidence of an ulterior purpose. Instead it normalised all three, meaning the burden of proof may shift and inferences may be drawn from a lack of State response, the standard of ‘beyond reasonable doubt’ applies, and contextual evidence can be taken into account in establishing whether the authorities had pursued an ulterior purpose. The litmus test for whether this would indeed render the provision effective was precisely a case such as Navalnyy’s, where the authorities’ hidden agenda could not be established or inferred from any document or confession expressly showing an ulterior purpose – a smoking gun as it were. On all fronts therefore, the Navalnyy judgment was highly anticipated. The Grand Chamber, with 14 votes against 3, finds a violation of Article 18 in conjunction with Articles 5 and 11, and thereby supports in a much more convincing distribution of votes the line in the jurisprudence as set out in Merabishvili (notwithstanding a very worthwhile separate opinion of five judges, which I will return to at the end of this commentary). In arriving at this conclusion, the Court takes some interesting steps. First, through lengthy quotes it supports the Merabishvili judgment, when it comes to standard, burden and means of proof. Second, in applying the principles to the case, it decides that, whereas it will take account of the ‘sequence of events as a whole’ – i.e. all seven instances of arrest – it will ‘concentrate its examination on the fifth and sixth episodes’. The two specific episodes the Court focuses on concerned interferences which it found under its examination under Article 11, served no legitimate aim whatsoever. Put simply, they concerned (5) the applicant’s arrest for ‘organising an unauthorised march’ when after a solo picket, he walked down the street followed by a group of people including journalists, and (6) his arrest for holding an ‘irregular gathering’ when a large group of people wanted to attend an important Moscow court hearing, but had been left standing outside because the police had cordoned off the court-house and refused them entrance. In the other episodes, the Court expressed its serious doubts that any legitimate aim had existed, but ultimately found violations of Article 11 because the interferences were not necessary in a democratic society. The case of Navalnyy thus concerned a mix between a situation where an existing ulterior purpose would be the ‘sole purpose’ driving the authorities (for the fifth and sixth episodes), and one where a plurality of purposes would exist (the remaining episodes). This leads the Court down a noteworthy road. In viewing the sequence of events holistically, it likens the case to continuous situations where the underlying purpose might change overtime, such as in cases of detention where over the entire period of detention, a legitimate aim must remain dominant. Taking the seven instances of arrest together, the Court discerns a pattern where the pretexts for arrest became progressively less plausible, and where any disorder potentially caused by the applicant’s conduct diminished. Whereas the predominant purpose at the outset may therefore have been legitimate, even if this was indeed so, the Court finds this to have changed. Arriving at this conclusion, it takes account not only of the specific facts of the arrests and in particular the groundless arrests in the fifth and sixth episodes, but also of other contextual factors in Russian legislation generally, and concerning the applicant specifically. In regard to the latter, the Court could rely on the abundance of case-law built up in procedures in Strasbourg, with very similar cases in Navalnyy and Yashin, Navalnyy and Ofitserov, and Navalnyye, further supporting the existence of a pattern where his political endeavours are curtailed. Further, the Court references the increasingly severe responses not only to the applicant’s political activities, but also generally against political assemblies, the increasingly harsh and structurally inadequate legislation, and various CoE reports addressing these issues. "the Court finds it established beyond reasonable doubt that the restrictions imposed on the applicant in the fifth and the sixth episodes pursued an ulterior purpose within the meaning of Article 18 of the Convention, namely to suppress that political pluralism which forms part of “effective political democracy” governed by “the rule of law”, both being concepts to which the Preamble to the Convention refers (…). As the Court has pointed out, notably in the context of Articles 10 and 11, pluralism, tolerance and broadmindedness are hallmarks of a “democratic society”. Although individual interests must on occasion be subordinated to those of a group, democracy does not simply mean that the views of a majority must always prevail: a balance must be achieved which ensures the fair and proper treatment of people from minorities and avoids abuse of a dominant position." There is much to say about this forceful judgment, and it is sure to become the subject of heated political debate between the Council of Europe and Russia. The Court in my view engages with what is really at issue in the case. This is not about individual incidents and individual human rights violations, with mostly relatively mild fines and brief periods of detention at police stations. This is about repressing opposition, in a systematic manner, and under false pretences. If the most credible opposition leader is consistently prevented from organising and attending political manifestations, this strikes at the heart of democracy and political pluralism. It is a clear abuse of power, and precisely what Article 18 ECHR militates against (see my forthcoming article in GoJIL). At the same time, the judgment seems to contain some noteworthy quirks, which I want to address at this point. First, the Court’s engagement with the ‘reprehensibility-criterion’. This criterion was introduced in Merabishvili to ascertain whether, in instances where a plurality of purposes existed, an ulterior purpose was predominant. In my view, the reprehensibility of a purpose is wholly unfit to determine whether that purpose was also dominant, because how ‘bad’ a hidden purpose was says very little (if anything) about whether it was also the purpose that drove the authorities to act. Rather, it is reminiscent of the contamination approach, where the mere fact that a (very reprehensible) ulterior purpose existed, means this constitutes a violation of Article 18. That the suppression of political opposition is indeed extremely reprehensible in light of the ideals and values of a democratic society governed by the rule of law, is hardly surprising. However, this criterion was introduced for situations of a plurality of purposes, to determine which was predominant, and in this case, after applying this criterion, the Court concludes that in the fifth and sixth episodes there was an ulterior purpose of suppressing political pluralism. Those, however, are precisely the episodes where there was only a single purpose, because no legitimate aim existed at all, as the Court concluded under Article 11. One would therefore expect the Court to use this criterion for the other five episodes, but in fact, the Court remains silent as to whether an ulterior purpose existed in those instances, and whether it was predominant. This to me indicates there may not have been consensus within the Grand Chamber as to these other episodes, and in order to project unity after the highly divided Merabishvili judgment and with three dissenting judges already, it left this issue undecided. This, of course, is mere speculation. What it does show, in my view, is that the reprehensibility-criterion is unfit for determining what purpose was predominant. After all, the reprehensibility of the ulterior purpose was the same in each arrest, but precisely for the cases the criterion was meant to regulate, those where there was also a legitimate aim, it does not provide a satisfactory solution. "It may be an apparent or even brutal abuse of power, without any effort of concealment; it may be an excessive use of the power to restrict rights, again without any ulterior purpose, but with the (dominant) intention to limit any form of expression of personal freedoms (speech, assembly, etc. ); or it may be a succession of incidents which, taken one by one, appear to be isolated and straightforward violations of a Convention right, but which, taken together, show a greater problem of systemic violations ultimately aimed at the destruction of the rights and freedoms provided by the Convention. There lies the real abuse of rights or power: a system of violations. Such a system can manifest itself in various forms, at all levels of the exercise of state authority: a too strict and liberticidal legislation, a restrictive administrative practice that applies the legal rules with excessive severity, or a systematic judicial prosecution in cases of alleged violation of legal or administrative rules restricting rights guaranteed by the Convention and the application of severe sanctions in case of guilt found." Interestingly, within one year of the Grand Chamber redefining Article 18, five judges now propose Article 17 might be a better fit. They further argue that an interpretation such as in the case at hand, where the seven interferences are viewed together to infer an ulterior purpose that ultimately leads to the finding of a violation of Article 18 in two instances only, is strained. This, in their view, would not be the case under Article 17 because that provision would more readily allow for a finding that individual violations are ‘merely individual instances of an abusive system which, as a whole, falls under Article 17’. Whatever the merits of this argument, it seems unlikely that after two Grand Chamber judgments within the confines of one year set out a line of case-law where Article 18 is employed to address abusive restrictions of rights, a new major shift will occur. Besides, whereas the approach by these five judges may serve to better address systematic violations, it does not seem to acknowledge the devastating effects for the rule of law, flowing from State authorities not only violating human rights, but doing so under a guise of lawfulness by camouflaging their real aims. Such practice renders any effective control of State power obsolete, and thus transforms the rule of law, into a rule by law. In conclusion, the Grand Chamber sends a powerful message and addresses the crux of the matter: the interferences with Navalnyy’s Convention rights are not mere incidents, they are part of a broader ulterior aim, which is to suppress the opposition and which strikes at the heart of democracy and the rule of law. Especially considered in tandem with the judgment in Selahattin Demirtaş v. Turkey (no. 2) of just a few days later, this clearly illustrates the Court is willing to take up a role in safeguarding democracy from oppressive governmental interference, and in countering rule of law backsliding. As the Court considers itself, ‘notably in the context of Articles 10 and 11, pluralism, tolerance and broadmindedness are hallmarks of a “democratic society”.’ And, I would add, conversely: misusing the State apparatus and criminal justice system to suppress the opposition, civil society and constricting political pluralism under false pretences is the hallmark of totalitarianism. The Court has now shone a bright light on this practice, and will likely continue to do so under the newly reinterpreted Article 18. 'The Call for Papers invites submissions from postgraduate students that discuss the following themes. The deadline is 1:00pm Thursday 13 December 2018. Do states found in breach of the Convention implement Court judgements and what role should the Court play in the enforcement of judgements? How can the Court overcome its overload of cases? Should it become a constitutional court, just taking on leading cases? What procedural changes could it make? How could states help? Does the margin of appreciation doctrine allow undue discretion to states or should deference to states be taken even further? Is the Court’s dynamic interpretation of the Convention justifiable and what role should state consensus play? Is the argument that the Court lacks legitimacy persuasive? What impact has the post-Cold War extension of the Convention to Central and East European states had? A comparison of the Court’s jurisprudence with that of other international courts or UN treaty monitoring bodies. Should there be harmonisation?